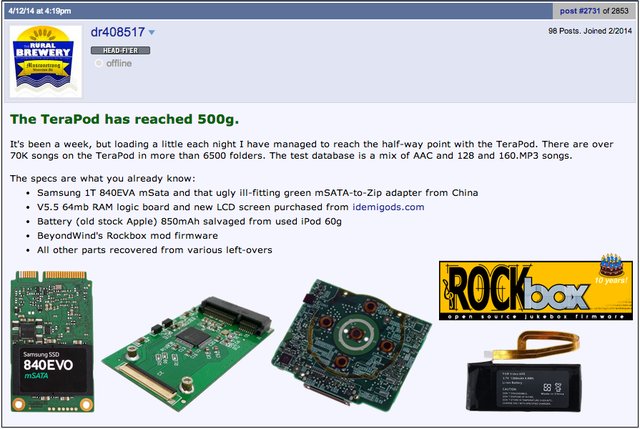 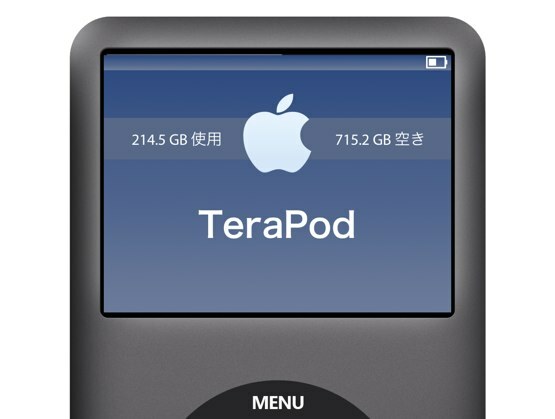 海外のiPodマニア、ついに容量1TBのiPod Classic 通称「TeraPod」を作り出す。 | AAPL Ch. 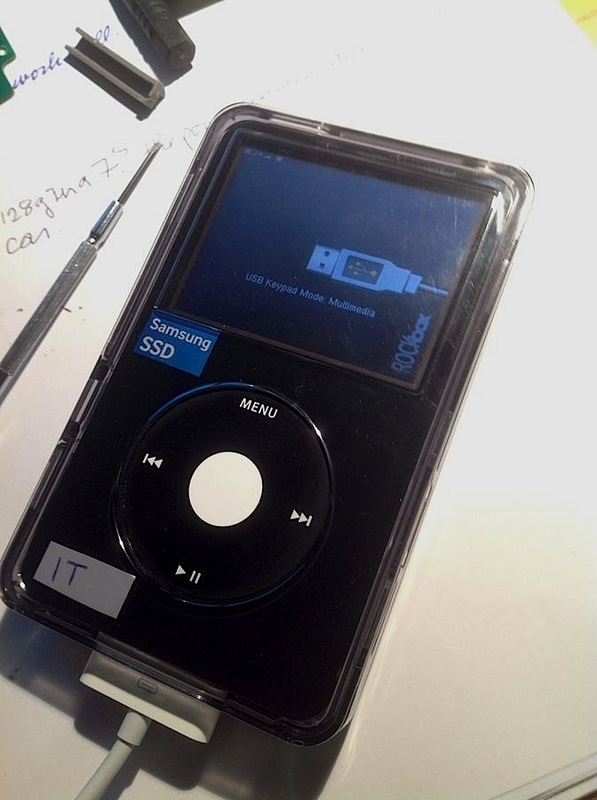 Getting 1000 Gb in to an iPod is not going to be cheap and while I have a working prototype and development is still continuing, it may be that I will not move to production if the demand is not great enough and the resulting price would be too high!!! 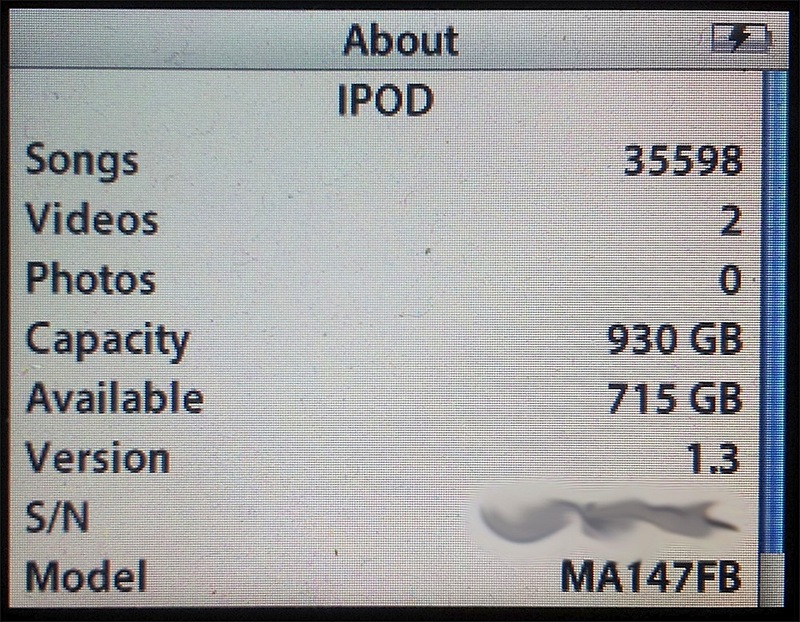 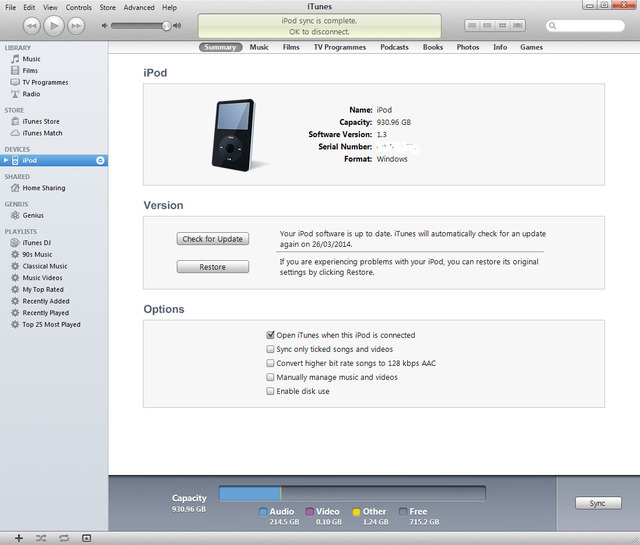 Transfer speed on my test 5g iPod Video is approximately 8 to 9MB/s, so syncing the full 930Gb will take around 30 Hours. 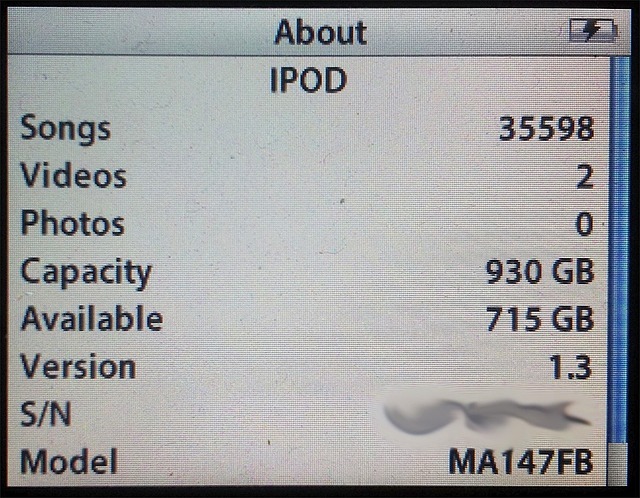 On the 6g/7g iPod Classics transfer speeds are nearer 16 – 18Mb/s so about 15 Hours to fill.